The 2015 Atlanta Boat show has once again come and gone and this year was bigger than ever! The Lake Homes Realty booth stayed busy with interested home buyers and sellers all weekend and was manned by corporate staff and a rotating list of lake expert agents from across five states. 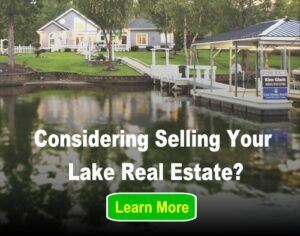 While our primary goal at the show was to provide value to potential clients, I also took the opportunity to meet other exhibitors and learn about their lake focused companies. Located right across from our booth was the Gibbs Quadski, an ATV that transforms into a jetski in only 4 seconds! With this high end lake toy you can go anywhere, and can reach speeds of 45MPH both on land and on the water. It is even rated for operation in salt water, so bring it with you on your next beach trip! If you’re interested in checking out one of these bad boys, visit Hide Away Harbor in Tuscaloosa, AL, the regional vendor for Quadskis! For a more affordable lake toy geared at relaxing in the lake, take a look at the bum float. It is a floatation device design to be worn where else? Your bum! While it may look like a big diaper out of the water, the bum float is the best way to relax in the lake with a cold beverage. Speaking of cold beverages, a great way to store and enjoy them while on the lake is the floating bar and cooler combo. This setup holds a 33 quart Coleman cooler, has 4 connectable table sections with cup holders, and is covered by a pop up canopy. Who wouldn’t enjoy having their own swim up bar at the lake? When it finally comes time to get out of the lake, nothing makes it easier than Aqua-Stairs. Instead of climbing a ladder to get back on the dock the Aqua Stairs allows you to simply walk out of the water. It even allows pets a way to easily return to the dock; your canine pals will thank you. If you want to add some shade to an area you may want to consider a patio umbrella from Vrienden. These monsters are up to 10’x10′, built to withstand winds up to 35 MPH, are quick and easy to reposition or take down, and come standard with LED lights built in. For the fisherman, the Bob Light is a new type of bobber for night fishing. The LED on the float is pointed down into the water and illuminates the angler’s bait, helping to attract fish. Looking for a way to protect both your boat and you dock when entering or leaving your slip? The Ryan-O Dock Roller system prevents damage to both by placing a padded roller between your boat and your dock . If you’ve thought about a hot tub for your lake home you may want to consider a Softub. With 3 step installation you simply roll the spa where you want it, connect it to the Hydromate with a screw driver, and fill it up. It even operates off of a standard 120V outlet so you can set it up virtually anywhere. Did you attend the Atlanta Boat Show this year? If so let us know what your favorite part of the show was, or if you have an item at the lake that you just can’t live without send me an email and tell me about it!